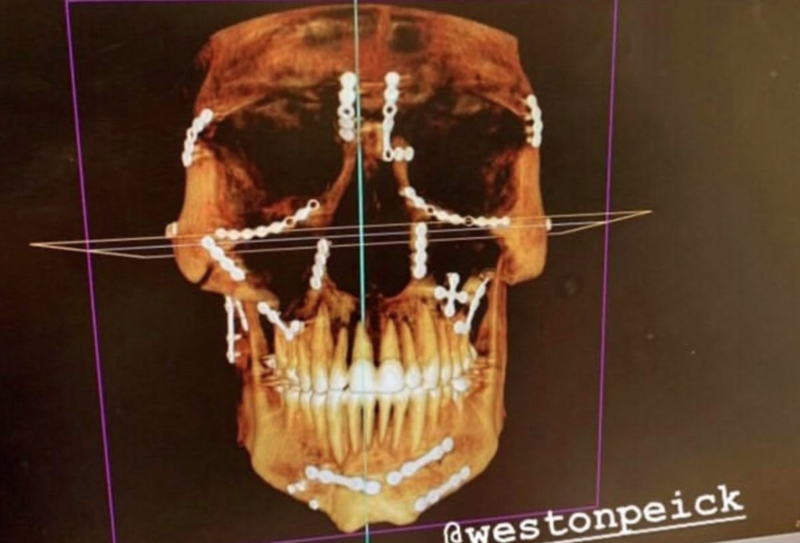 When we hear about Weston Peick’s numerous facial fractures, it’s hard to even imagine what the amount of facial fractures he sustained even looks like until you see the scan. In total, we heard Weston suffered 10 very extensive facial fractures—nose, eye and other facial fractures. 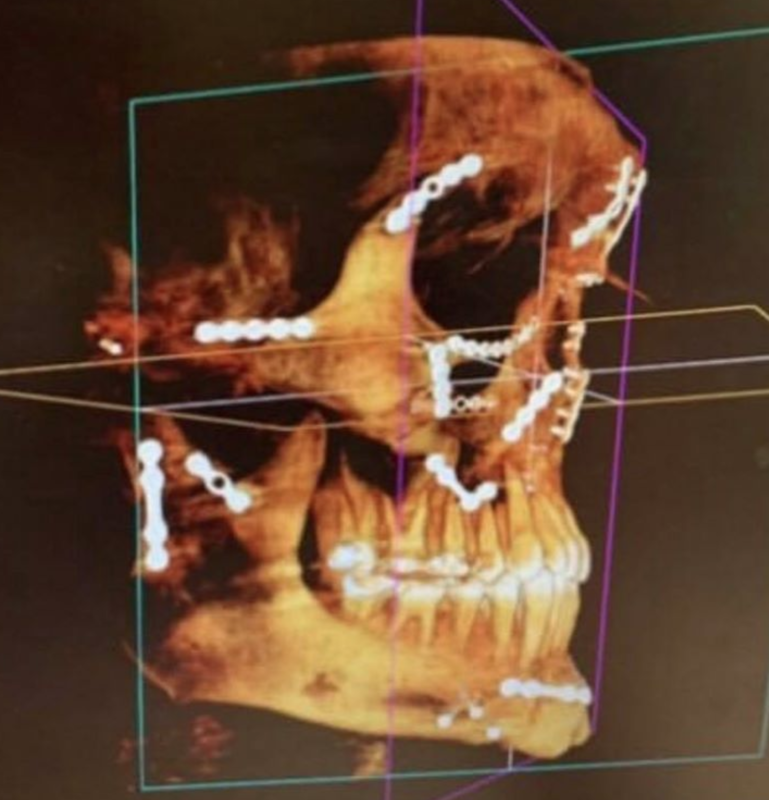 He also suffered a dual jaw dislocation, where his jawbone completely separated from his skull. Earlier today, Weston’s fiancé, Kelly Cleland, posted a couple screenshots of Weston’s scans from her Instagram story and it really puts the damage in perspective. We hope Weston has a full recovery and while we know it will be a while, we cannot wait to see the #18 back on the line proving everyone wrong one more time.